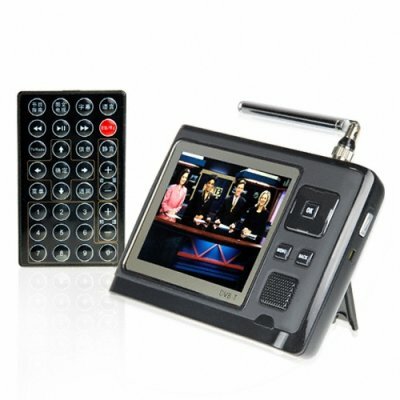 Successfully Added Portable DVB-T Player and Recorder + Digital Media Player to your Shopping Cart. The perfect device for the TV and digital media addict on the go, this handheld DVB-T tuner and recorder is great for catching the live game or watching you favorite TV shows when you're away from home or watching your digitized movies. And you will find that the digital TV signal comes through much more clearly than you ever saw with old style analog TV. Having native support for a variety of media codecs and reading from SD/MMC/SDHC memory cards, you'll have plenty of digital media choices to enjoy with this model portable media player such as MP4 videos, MP3 music, and JPEG pictures files. And here is the best part - this baby has two SD card slots, the second slot of which can record DTV programs for later playback.